Tirthas or sacred places has a very important place, in all important religion in the world . Every sacred place have its own energy and it is determined by the kind of the people comes and stay on that place and also by the kind of the thoughts they think ,on that place and the energy they create and the attitudes and behavior they show there. So the holiness of any place is both determined by the constituent elements of that place, and also the Holy people who visits there . In puranas we find many stories which reveal these subjective wisdom that the purity of human mind effects the purity of a place , and at the same time purity of a place also effects the purity of Human mind and which helps both the humans and also the deities to fulfill there wishes and become contented and liberated . In Arunachala Mahatmaya we also see similar instance where many deities and devas visits different pure places and tirthas for fulfilling there wishes. They also get rid of there negative emotions by carrying on sacred rituals on that places. Like ,on the south of Arunachala is the Yama Tirtha; Yama was saved from the fear of Brahmastra (a divine weapon) by bathing in it. On the southwest is the Nairta Tirtha; The rishis conquered the bhutas and vetalas by bathing in it. 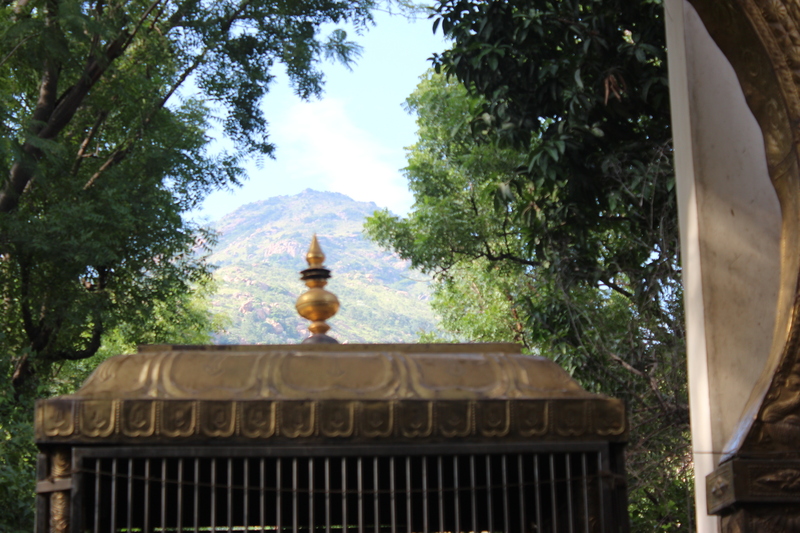 On the west of Arunachala there is Varuna Tirtha; Varuna obtained an ever-full quiver by bathing in it. On the northwest of Arunachala is the Vayu Tirtha; Vayu attained the power of becoming the life-breath of the world by bathing in it. On the north is the Soma Tirtha; Chandra (moon) was cured of consumption by bathing in it. On the northeast is the Isana Tirtha; Vishnu attained Goddess Sri for his wife by bathing in it.